The Great Safaris Singita Explorer – Tanzania is a completely exclusive, genuine mobile camp – a modern safari experience unlike any other. Everything about the camp is designed for minimal energy consumption with little environmental impact. With access to 340,000 acres of private land in the Serengeti, this back-to-basics camp guarantees closeness to wildlife and untouched landscapes. Return from game drives to en-suite hideaways, where tented walls frame contemporary details infused with the durable textures of Africa. 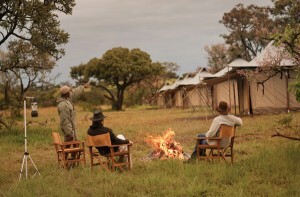 The Great Safaris Singita Explorer – Tanzania offers the ideal component of a Singita Grumeti Reserves itinerary including stays at Sasakwa, Faru Faru and Sabora Tented Camp.